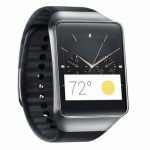 The Samsung Gear Live was one of the first smartwatches to be powered by the Android Wear OS. Samsung�s newer models now include a proprietary OS called Tizen. The Gear Live has a 1.63� super AMOLED display which can be configured to stay �always on� so you can glance at the time. 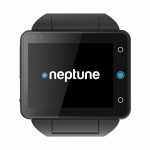 It has all the necessary smartwatch features like text, message, and email notifications, the ability to make and receive calls, and support for Google Now and Google services. The body has an IP67 dust and water resistance rating. Finally, a heart-rate sensor, accelerometer, gyroscope, and compass offer advanced fitness tracking for health enthusiasts.